Speculating on the future, and spotting trends, is always fun, and I indulge myself quite a lot in this blog in ruminating about these things from an information viewpoint. 172 participants, whose the Edge – accurately if immodestly – describes as ‘an array of world-class scientists, artists and creative thinkers, give an answer to this question, some at considerable length. Many of them give food for thought, and some are downright inspiring. I will draw on several of them for future posts. I was, however, immediately caught by one response in particular George Dyson, a historian of science, writing of kayaks versus canoes, reminds us that, among the indigenous people of the shores of the North Pacific, there were two approaches to the building of boats. The Aleuts, living on islands bereft of trees, combed the beaches for pieces of driftwood. 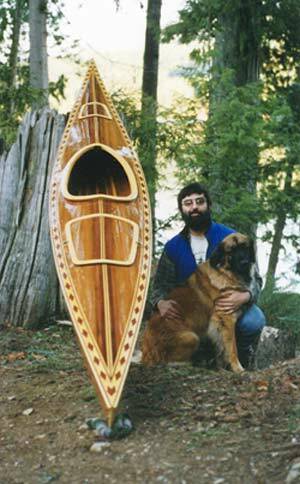 When they had, laboriously and over time, gathered enough pieces of the right kind, they used the to build a kayak. The Tlingit, living in areas where the rainforests grew down to the shoreline, adopted a different strategy; taking an entire tree, they simply cut away and discarded the wood they did not need, ending up with a dug-out canoe. In information terms, Dyson writes, we have all necessarily been kayak builders, scraping together the bits of information we need from wherever we can find it. The Internet now pushes us towards the dug-out canoe strategy. We can find large amounts of information easily on almost any topic; the essential skill is being able to swiftly discard the inappropriate and inessential, ‘cutting away’ until we have the knowledge structure we need. Dyson laments that “I was a hardened kayak builder, trained to collect every available stick. I resent having to learn the new skills. But those who don’t will be left paddling logs, not canoes”. As one who was an information science practitioner when kayak building was the order of the day, I can empathise. But, as I tell my students, a change came over information services about a decade ago, though not all practitioners have yet noticed. In the old, kayak-building, days, the task was to find as much good information as we could. The task now is to protect our users from the influx of information which threatens to overwhelm us all, making discrimination and rational selection difficult; canoe-building indeed. Ben Macintyre, writing in the London Times, based a column – we need a dug-out canoe to navigate the net – on Dyson’s idea, and added to it, to give the striking mental picture of a fox in a dug-out canoe paddling downstream, pursued by a hedgehog in a kayak. He adds in the thought of the, very much pre-Internet, Oxford philosopher Isaiah Berlin, that thinkers come in two forms. There is the fox, who knows something about many things, and draws inspiration from many sources. 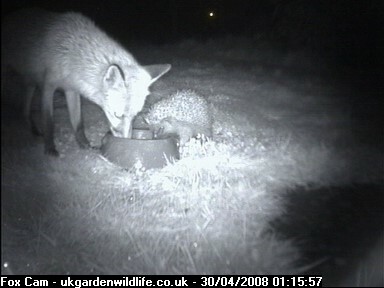 And there is the hedgehog, who has one big idea, and devotes their intellectual life to refining and expanding it. The Internet, says Macintyre, makes us all into foxes, browsing and scavenging for what we need. 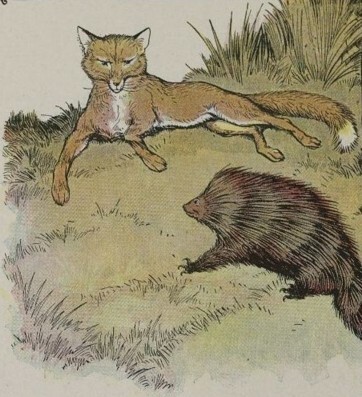 But, of course, the fox must be able to avoid wasting time, and suffering from continuous partial attention, and all the other perils into which the ubiquity of internet information can lead us. 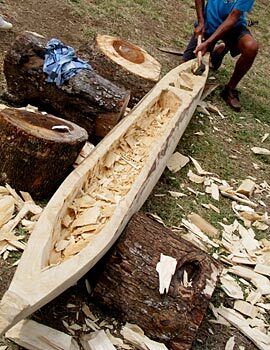 The fox must become a canoe builder, skilfully hacking away the dross, to quickly reveal the structure within. I cannot help wondering however, if there is really no place for the hedgehogs, contentedly floating their kayaks over the waters of cyberspace. The Internet is a big ‘place’; is there not room for more than one species in its ecology?